Dr. Dawson graduated from the Doctor of Acupuncture and Oriental Medicine (DAOM) Program at Emperor’s College which offers a Dual-Specialization in Internal Medicine & Physical Medicine. Their dual-specialty approach focuses on key areas of modern healthcare while implementing cutting-edge best practices grounded in tradition. In short, they provide practitioners of Oriental medicine with the advanced clinical and professional skills they need to accelerate their careers and expertly address the needs of today’s diverse patient population. Capstone Project focuses on The Safety and Efficacy of Bee Venom Therapy. Dr. Dawson DAOM, L.Ac. earned a MAcOM Masters degree in Acupuncture and Oriental Medicine from OCOM (Oregon College of Oriental Medicine) in 2012. After graduating Jad spent a year in China continuing his education first at the Nanjing University of Traditional Chinese Medicine then at private clinics in Nanjing and Wuhan. 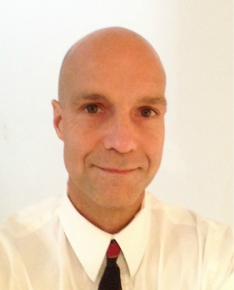 He is nationally certified through NCCAOM (National Certification Commission for Acupuncture and Oriental Medicine) with a Diplomate in Acupuncture and a California State license for Acupuncture from the California Acupuncture Board. He also holds a California Massage Therapist license from the CAMTC (California Massage Therapy Council). Dr. Dawson was born in Canada. He earned a degree in psychology from the University of Toronto. His interests and specialties include sports medicine, women's health, oncology, nutrition, and fitness. Jad has participated in several marathons and cycling events such as the MS150 (Multiple Sclerosis 150 mile charity ride) where, as Team Captain he organized the UTMB Cycling Club and served as Ride Marshal. He currently holds certifications in Personal Training from AFAA, Massage Therapist from CAMTC, and a Martial Arts Black Belt in Kuk Sool Won. Dr. Dawson spent 12 years working in medical research as a senior research associate and lab manager at UTMB (University of Texas Medical Branch) in Galveston in the Department of Otolaryngology, Baylor College of Medicine in the Houston Medical Center in the Department of Molecular Virology and Microbiology, and UTMB in the Department of Infectious Diseases and Biodefense. He worked under NASA and NIH grants investigating how early immediate transcription factors are effected by microgravity and weightlessness. Also, the pathogenesis of infectious diseases such as SARS, NoroVirus, and Ebola. Your first appointment usually lasts from 1 to 1½ hours. Initially I ask you to fill out a medical survey form. Reviewing the form, we will discuss your past health and medical history, your lifestyle, your concerns and your goals for treatment. We may also discuss the difference between western and eastern medicine. These conversations are an important part of the diagnostic process. Once this is completed, I will recommend a course of treatment and explain how acupuncture will fit into that course of treatment. Depending upon your specific condition, I will then take your pulse. Acupuncture pulses are a qualitative reflection of the six major energy systems of the body. They are taken on both wrists in three locations. The information obtained goes far beyond the heart rate information obtained by conventional Western medicine pulse taking. Next I will look at your tongue which, in chinese medicine, can obtain much information about your general health. Then I will palpate your body. Palpitation is nothing more than physical touching of the body in the affected areas. This is necessary in order to determine the most effective acupuncture points for your treatment. I recommend that you wear comfortable, loose clothing with an under garment. Depending on the treatment, you might even remain fully clothed. If you prefer, gowns and linens are always available. In some cases, I will recommend a gown if your particular treatment calls for it. Patients are encouraged to leave plenty of time both before and after their treatment. Rigorous exercise, sexual activities, eating a full meal, and consuming alcohol should be avoided immediately before and after a treatment for at least 1 hour. In many cases, acupuncture will be augmented by other therapies such as cupping, massages, moxibustion, and E-stim treatments, etc. For first time patients, I will explain the treatment step by step as I proceed. For most people receiving treatment is quite relaxing. When the needle initially penetrates the skin, you will feel a small pinch. After the needle is inserted, I will stimulate it to encourage the arrival of Qi to that acupuncture point. The arrival of Qi may feel similar to a dull or heavy ache, a tingling, a numbing, warmth or an electrical sensation. On rare occasions, the needle sensation may be painful. Please inform me if you feel any discomfort such as a sharp pain. I will adjust the needle and you will be fine. Rarely is there any bleeding from the needle insertion point. How you'll feel afterwards varies greatly from patient to patient and from session to session. Some treatments may leave you relaxed and energized; others may leave you with a desire to rest. Follow-up visits usually last from forty five minutes to one and one half hours. I will begin by asking you about any changes you might have felt since your last treatment and if you have any new concerns. After the assessment, I will proceed with the appropriate treatment. How often you will need treatment, will depend upon your individual needs. For average conditions, I recommend one treatment at least once a week preferably at least three to six consecutive weeks. Most conditions show significant improvement within three to twelve sessions. For health maintenance or preventative care, I recommend four treatments per season or 12 treatments per year.